Many Canadians, myself included, dream about visiting San Francisco because of the fantastic array of attractions, as numerous as points of light on a star map. As it is only a short flight two hour flight from my home town of Vancouver I have had the opportunity to visit many times over the years. 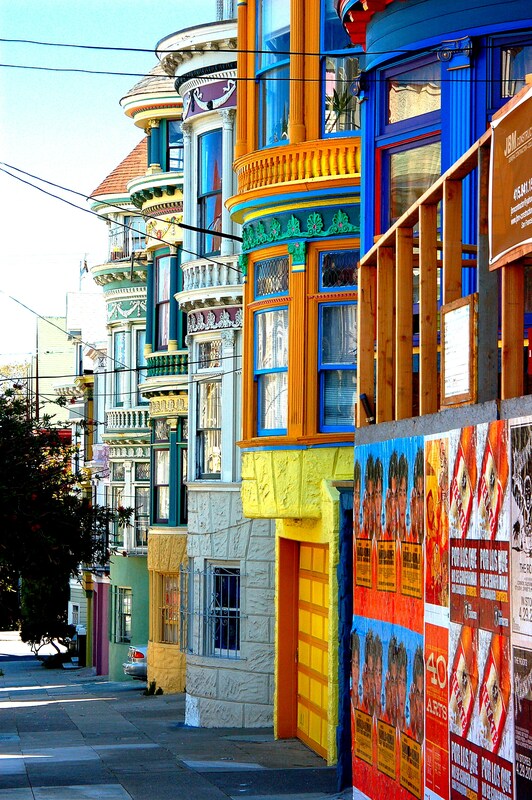 San Fran is a city of neighborhoods, each a unique patch in this delightful urban tapestry. 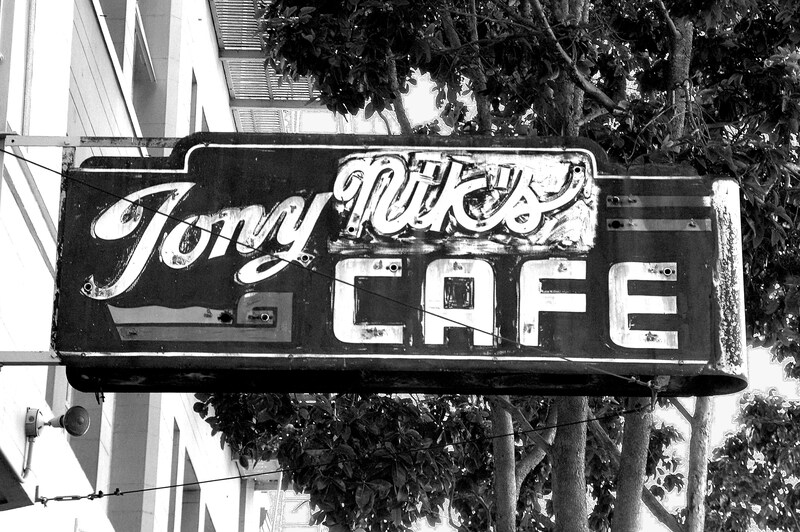 On this visit I was on a mission to relive a time when San Francisco was the center of the groovy universe. As a young traveler I had visited San Fran in many disguises, wandering mendicant, guitar troubadour, poet. I slept on benches, in yippie flops and spent an entire summer residing in Golden Gate Park at the end of Haight Street. In 1968 and ’69 there were so many people making love openly in the grass that you had to wind around the ecstatic bodies of balling freaks. 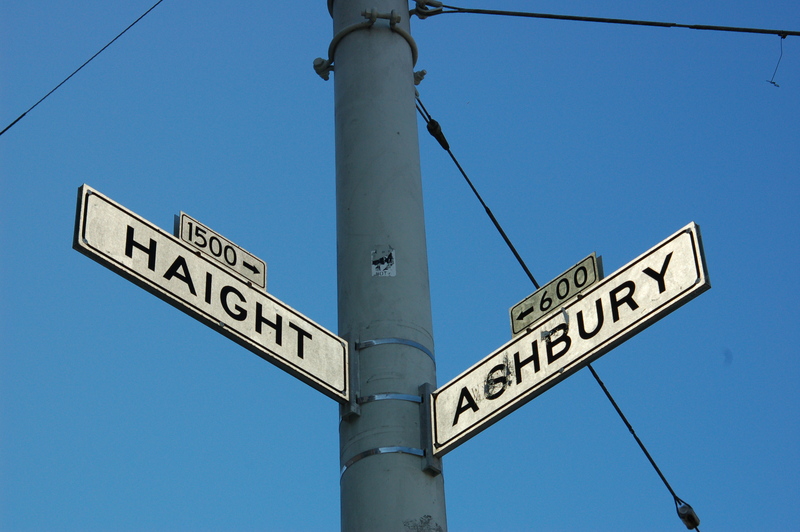 In the psychedelic Haight – Ashbury District, a single famous street corner at Haight Street and Ashbury was where two dimensions intersected to open a new but sadly short lived universe for a generation of people between the ages of zero and twenty something who became known as ‘the hippies’ . I’m grown up now, no more flowers in my hair, patchouli oil , buckskin jackets or saying ‘Right On’ , ‘Far out’ and ‘Groovy’ in every sentence. It didn’t matter why, I was out to discover San Francisco again, a bit more comfortably this time. 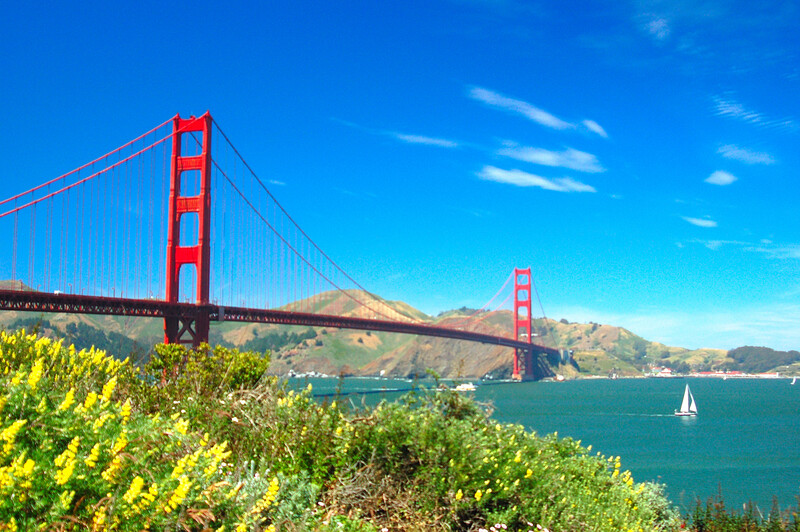 The setting of this magnificent city in the geography of Northern California is a stunning act of nature. 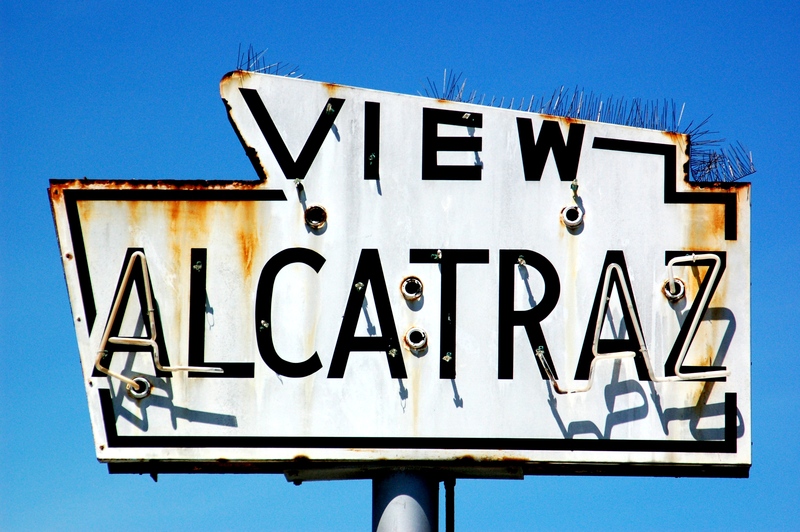 The deep water entrance to the harbour has been mastered by a world renowned landmark, The Golden Gate Bridge, connecting the city of San Francisco to the bedroom community of Oakland. 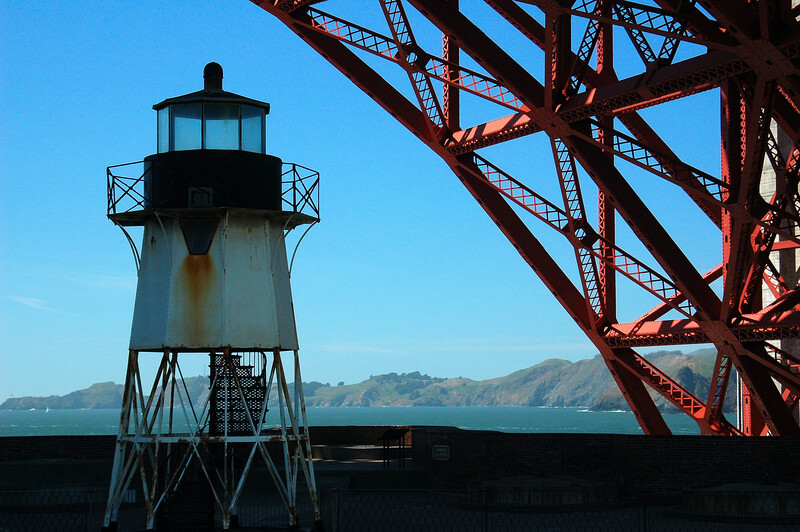 Golden Gate Park at the foot of the bridge should be a ‘must see’ stop on anyone’s visit to ‘the city on the bay’. It’s easily accessed by public transportation , ask any driver, they’re helpful. The civil war outpost Fort Point under the bridge still points it’s cannon towards the Pacific Ocean in symbolic defense of liberty. A scenic seawall along the coast line reveals big wave surfers in action and delicate indigenous plants. On my most recent trip I chose to stay at the Nikko Hotel, right downtown close to Union Square. I like to be close to the center of things when I’m only going to be in town for a short visit. 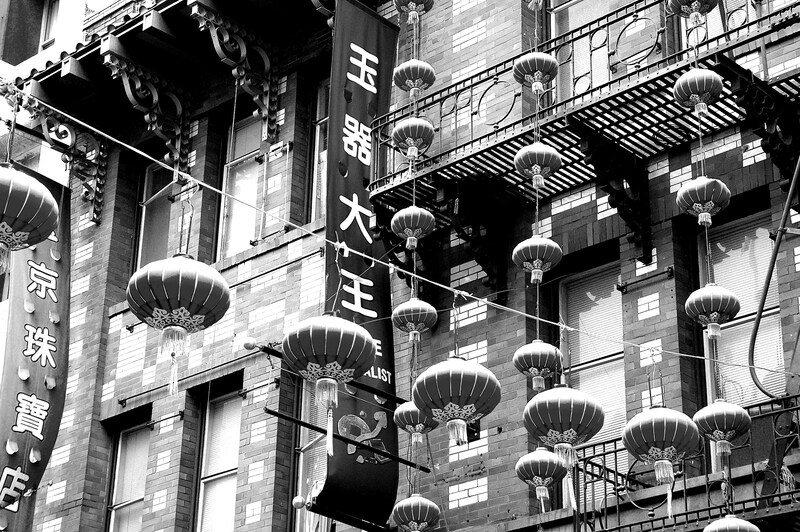 The Nikko is on Mason Street, two blocks from the historical heart of the city, Union Square. This is a lively area day or night. It was once quite rough, but not anymore. Don’t let an old story dissuade you from venturing out. There are some panhandlers left over, yes, but there are more street performers than anything these days. In the evenings I have seen entire rock bands set up on a street corner and wow the tourist crowd for tips. Another reason to stay downtown is the fact that you’ll be the hub at the center of a wheel. Travel in any direction along a spoke and you’re headed towards something famous , distinct, or both. My direction on the first morning was straight to Union Squares surrounding streets of Powell , Geary and Post. These streets are shoulder to shoulder with great coffee cafe’s, some extensions of major hotels , some individually owned bistro’s. Coffee and a light breakfast is served at a sidewalk table for people on their way to work and the tourist alike. I like to watch the morning action of a busy city. My choice of cheese croissant and a tall mocha latte at a sun kissed ‘mom and pop’ brasserie seemed just perfect. Come to any major US city from Canada and one of the first things you notice is that there are lot more shopping outlets . There are hundreds of franchises lining the streets and mall concourses that have never been heard of on the retail scene north of the border. I like to walk through Macy’s on Market Street when I get the chance. It’s a holiday in itself. Inside any Macy’s they have hundreds of individual manufacturers represented in kiosk style outlets, some very fancy and expensive. The store was on my way and I ‘popped in’ for a visit. I chose to walk down Powell Street so that I could take a few pictures of the famous Cable Car round-about at Powell and Market. It’s a popular image for people waiting to travel the opposite direction by Cable car after the two conductors muscle the cars around on the spinning platform marking ‘the end of the line’. From here I would walk down to the scenic waterfront Embarcadero where the commuter ferries to Oakland dock and disgorge passengers into the business district. San Francisco is a great walking city, lots of variety, from flat to gradual rise with some challenging hills to climb if you choose the right streets. 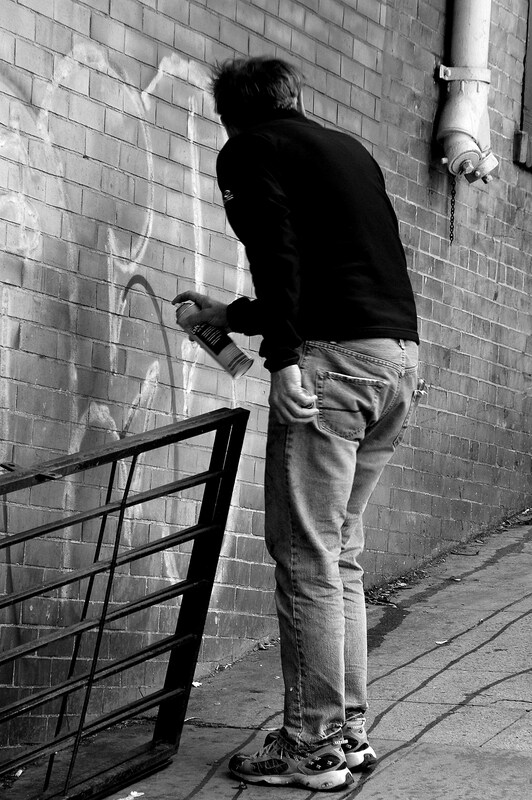 I decided that today would be a street photo day and I had worn my comfortable shoes. If you forget, there is an incredible Shoe Warehouse outlet beside Forever Twenty One on the Cable Car Station corner than has to be 40,000 square feet on three levels of shoes. If you’re a ‘shoe horse’ this may be an overload experience , bring a friend to guide you home. I was lucky today, things were going my way. I walked through a crowd of bike couriers at the foot of a commercial building and chanced to engage a few in conversation. One perk about being a travel writer is that once you identify yourself as such people get talkative and interested in your work. I told them about my plan to circumnavigate an old route I had taken in the late 1960’s when San Francisco was still the Hippie Kingdom. “That’s a lot to take in all in a day,” it was suggested. My new guides and resident experts suggested I add some efficiencies into my game plan and schooled me in the new Bay Area Rapid Transit system, BART for short. I’m glad I got the lesson. Instead of walking the entire distance, I chose the highlights as suggested by the bikey’s. From the Embarcadero I hopped the tram towards Fisherman’s Wharf. It’s hard not to feel like a kid again when a jolly tram conductor is ringing a jingling brass bell and you’re hanging out the door of a rattling orange time machine full of happy people. Between the warehouse units along the water I got my first glimpse of the island of Alcatraz, famous as a prison and now a famous landmark for visitors. 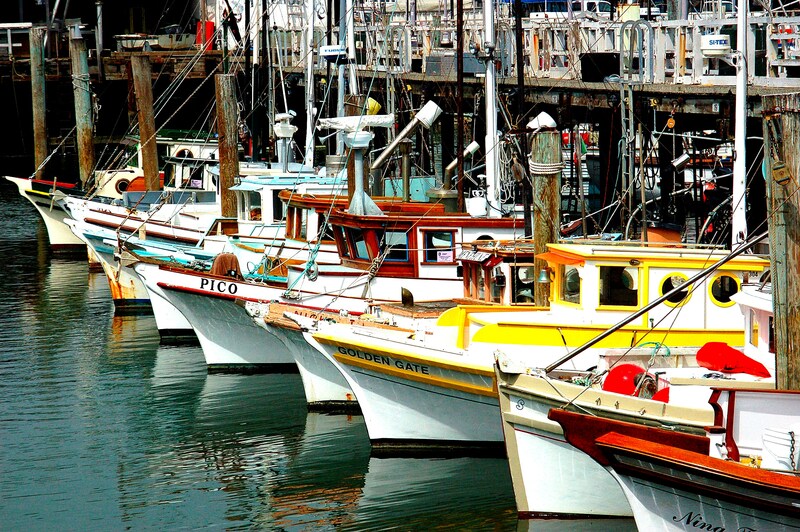 Fisherman’s Wharf is a collection of piers and an aquatic park at the end of the Embarcadero Boulevard. 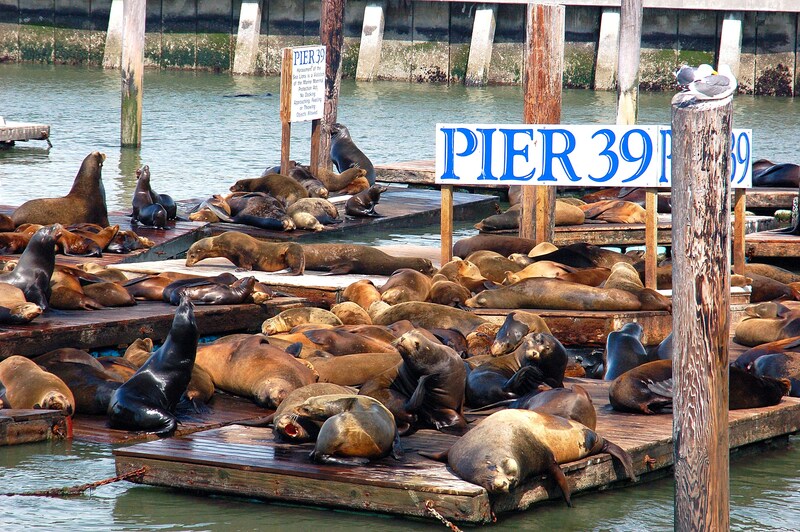 My favorite stop has always been the Pier 39 mob scene of Sea Lions lolling in the sun on the floating gangways. The big beasts stink, bark and cavort the day away much to the delight of everyone. The food outlets are extensive and I opted for a plate of fresh crispy calamari to eat on a bench to watch the crowd. Buskers and artists add to the convivial and totally photogenic atmosphere. I decided to walk up Grant Street which would take me uphill past Coit Tower and shady Washington Square and the lovely cathedral there. This is one of those classic hill streets where colourful town homes shoulder each other distinctly on the steep inclination. To my right I could see the famous zig zag Lombard Street. I was headed towards Chinatown. This route would take me through Italian inspired North Beach and bring the world famously pointed spear that is the Transamerica Tower into view as I crested the rise of Nob Hill. 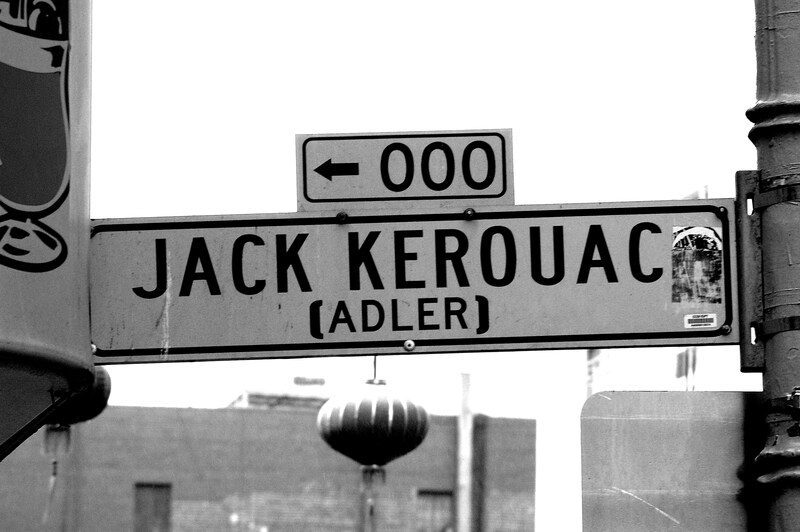 Jack Kerouac infamously held court here and has an alley named after him. As a writer I can’t resist an homage whenever possible. As it was lunch time and I’d worked up an appetite climbing the hill I decided to entertain a Chinese meal at a busy restaurant on Grant Street. My smattering of Cantonese caused quite a stir. I had one of the best lunches of Char Sui, Gai Lan and Rice I have ever. In the same street I found a lady crowded tea/shop bakery and picked up a box of my favorites to savor later in the room. Gai Mei Bau, a coconut paste filled sweet bread, Char Sui Bau, a spicy meat paste baked treasure and several Dan Tat, the egg tart that can only be described as heavenly. I took the shortcut under the mountain my biker friends had recommended through the Stockton Tunnel back into downtown. I wanted to catch the bus across town towards ‘The Haight’. This is an interesting route because it takes a traveler through all the distinct ethnic neighbors that divide San Francisco into a patchwork quilt. The bus becomes like a mini United nations after passing through several. It took twenty minutes before my driver gave me the signal. I stepped off onto the lowers steps at the Grand Temple of the Hippy Kingdom, the foot of Haight Street. Walking up the rise was like reliving my youth, I was transported as I ascended this personal Stairway to Heaven. Of course almost nothing ever stays the same. It was all just a memory. Shopkeepers had banded together to keep the vibe rolling in order to sell poster reproductions and T-shirts. It’s still cool though, but much quieter than the old days. I popped into the new McDonald’s for some coffee and reflection. What did you expect? I asked myself the same thing. Across the street the tunnel entrance to the park beckoned. 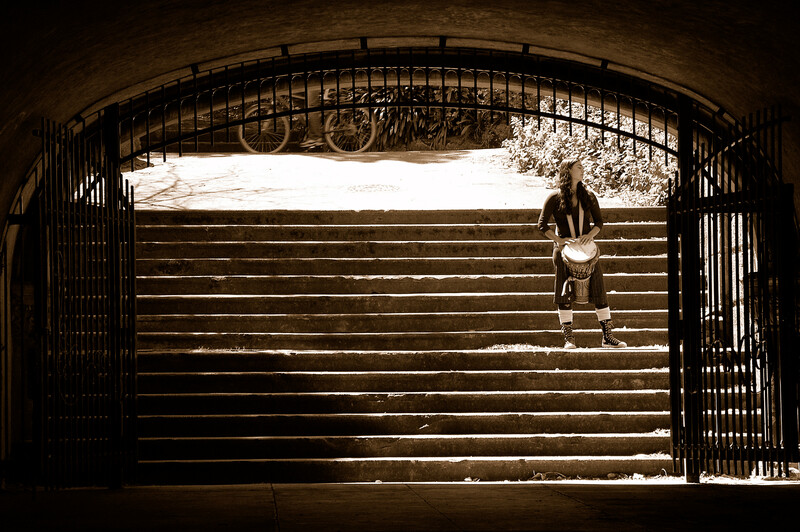 A kid was banging away at a timbale inside for the acoustics and sort of magnetized me in that direction. I wasn’t half way through when an itchy straggler sidled up and whispered, “Do want to buy some grass”. Just like the old days. There are no hippies balling in the grass these days. Just a beautiful sunny expanse of lawn well patrolled by police on ATV’s. ‘It’s all so beautiful’, are the words of a one hit wonder from back in the day. And it really was, but like so many precious memories they fade with time and reliving them is impossible. The best thing is too have a great life now and make lasting memories today. I walked away from my 1969 bubble world quite happy in the knowledge that I ‘d seen it at it’s best. My next stop would be to once again commune with the Pacific Ocean, a few short minutes away, in the town of Ocean Beach. The Grand Highway along the sandy beach is a dreamscape of drifting dunes , floating gulls and the eternal Pacific. 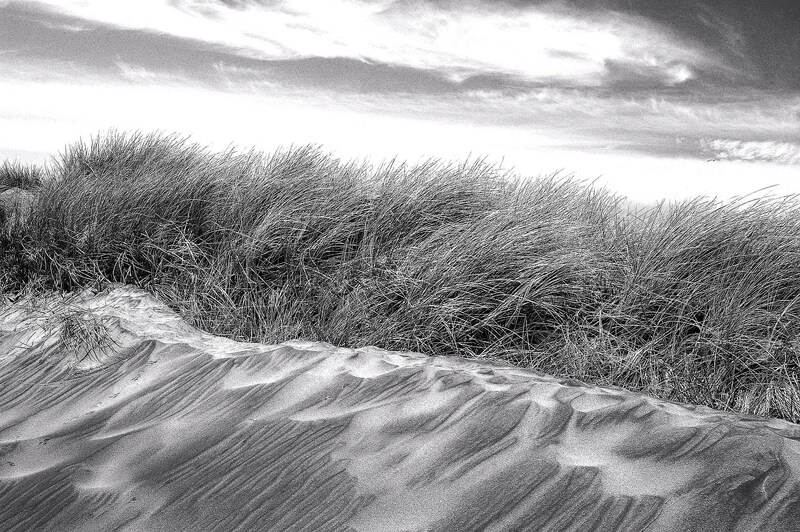 As I sat in the sand atop a soft dune I contemplated the world behind me. 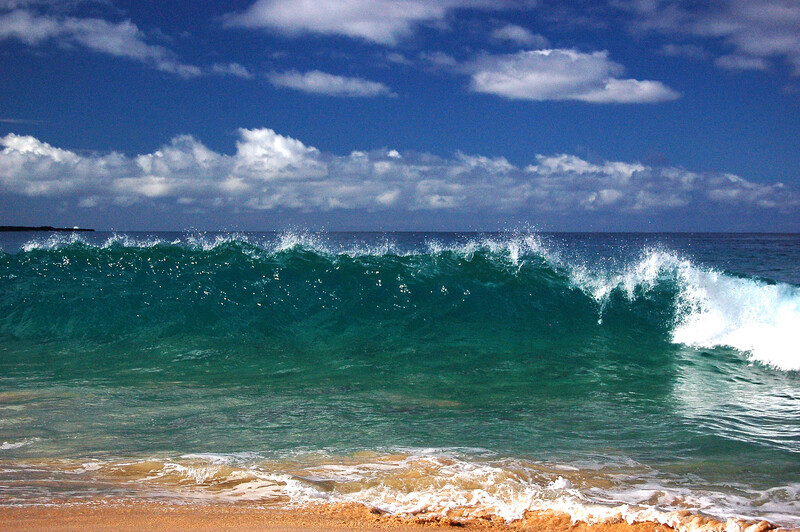 The Ocean is the metronome of all things living. The constant sound of long waves crashing on the shoreline has a way of peeling the stress from anyone who opens their heart and mind to the natural world. 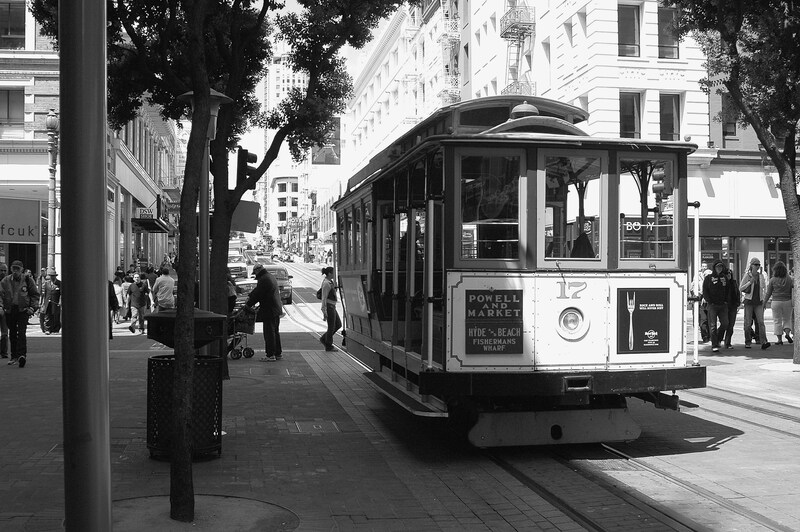 I thought about my day in San Francisco, truly one of the worlds great cities. I saw that it is a place of renewal and not just a monument to the past. 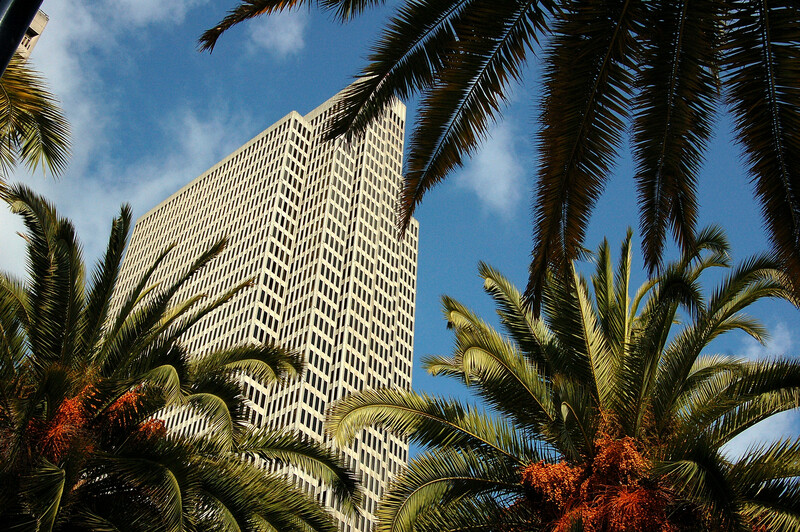 I felt satisfied to have found my place in the story of San Francisco and maybe you will too. I returned to my hotel to share my little box of bakery delights with Patricia. I’d had a dreamy day. 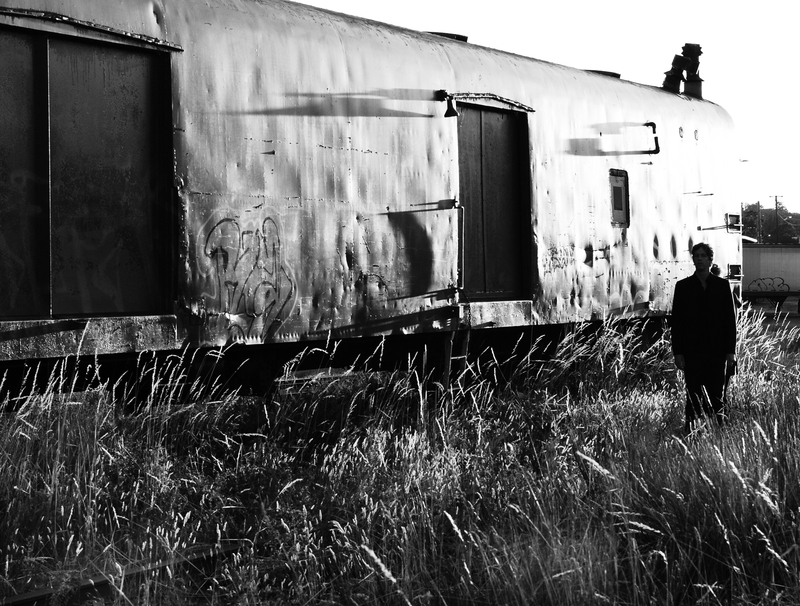 I’d lived a dual life in a single journey of rediscovery. On the way back I chanced upon a Thai restaurant which to my noses surprise was serving exactly authentic Thai food. By some miracle of logistics they had got hold of the especially rare ingredients that make Thai food in Thailand an experience worth flying fifteen hours for. How they’d traveled fresh so far from the Kingdom I don’t know. It was a San Francisco miracle. Pat and I hurried back there for dinner in case it was just a temporary mirage. We decided during the meal that the King of Thai restaurant on Farrel Street was a new point of light in San Francisco’s pantheon of stars. As I was walking down Kameole Two Beach on Maui’s placid leeward shore one day I overheard a conversation between two ladies. One was saying, “This is what I thought heaven would like like when I pass.” This place brings out that type of emotion. The scenic beauty is simply breathtaking. 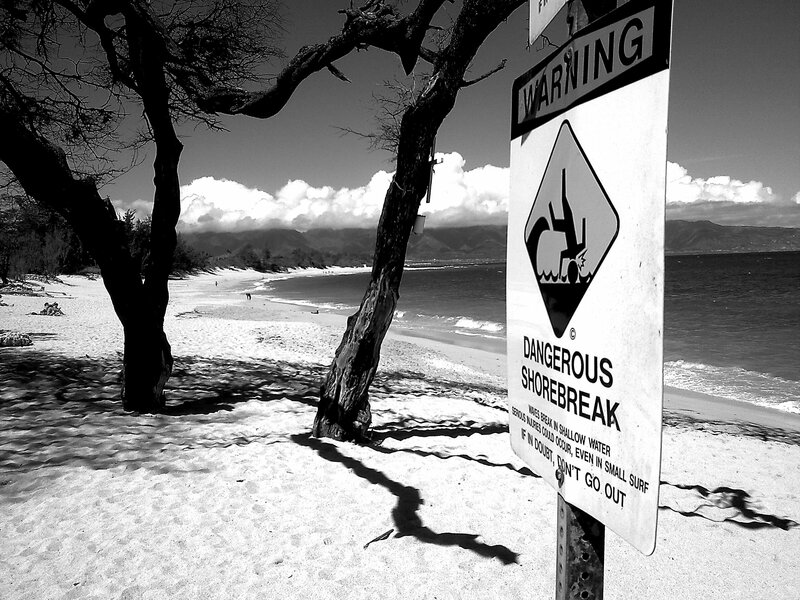 Over the years many purist traveler friends have gagged when I brought up the subject of Maui. “Too commercialized,” they say. “Over run with tourists”. From a purely routard perspective I can agree to an extent. I know people who would sleep in a ditch on the side of a highway before they would set foot in a five star hotel, on principal alone. I used to be one of them, at times mayor of the community, a proud veteran of many a ‘ditch party’. But, I remind them time and again, “You can do both on Maui”. I have spent a lot of time on ‘The Islands’ and love each and every one from intimate personal experience. I lived there for three years between the ages of thirteen and sixteen. I’ve been a Oahu North Shore surf punk, slept in the Makaha sand, camped the stunning national parks, circumnavigated mellow Maui and jungle scented Kauai on a bicycle returning as a blissed out tourist to marry my wife on the cliffs above Kaanapali on Maui’s windward shore. Patricia and I travel back on a regular basis to share what we know about the islands with our son. It’s a great place to vacation with a family, safe and peaceful. Our family spent months long summer holidays on Maui to refresh, refering to those times as ‘The Perfect Summers’. It that sounds like a fantasy come true, it was. It’s as easy as closing up the house and going. There are pronounced and recognizable divisions between the tourist and local populations on Maui. 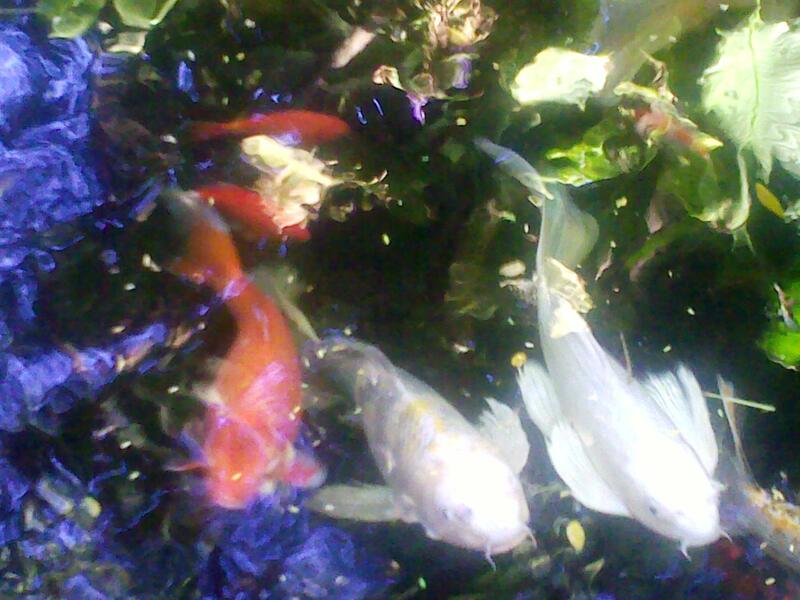 In the tourist heavy areas of Kihei and Lahaina there are also diverse and hidden beauties. These are what attracted the tourists in the first place. In the regions the locals call ‘upcountry’ , Makawao and Kula, nature has been left unspoiled by aggressive development. There are no ‘dead zones’ on Maui where commercialization has despoiled the environment to the point where it has become wasteland. The ocean is the great equalizer between the disparate groups. Like a religion, we all meet at the water in peace. Hawaiians respect their homeland and fight for the environment. This is almost entirely respected by the tourist industry who realize their future lies on the preservation of natures bounty. There is something about being on the islands, even for a short time, that brings out the eco-warrior in everyone. Your soul tells you that this place is special. Purists and nationalists may have room to argue to this point, but I respectfully disagree. A drive around the one road that circles Maui, the Hana Highway’, will prove my point. A few minutes past Kahalui towards scenic Paia and development is replaced by waving sugar cane fields, the heavenly Haleakala volcano on one side of the road and a dreamy coastline of blue water breaking on the other. 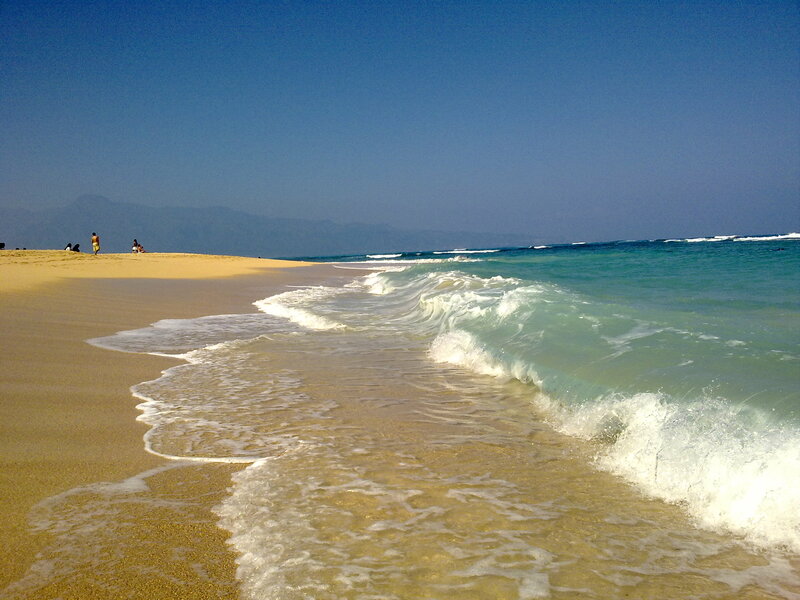 People come to Maui for the perfect beaches and perfect weather. It’s sunny year round. The sun sets at 6:30PM, every day of the year. The sand and water are in pristine condition. There are very strict laws against the discharge of any pollutants . There is no beach hawking. Littering is forbidden , enforced rigorously by beach patrols, lifeguards, police and the general public. Locals use the beaches as an extension of their backyards. 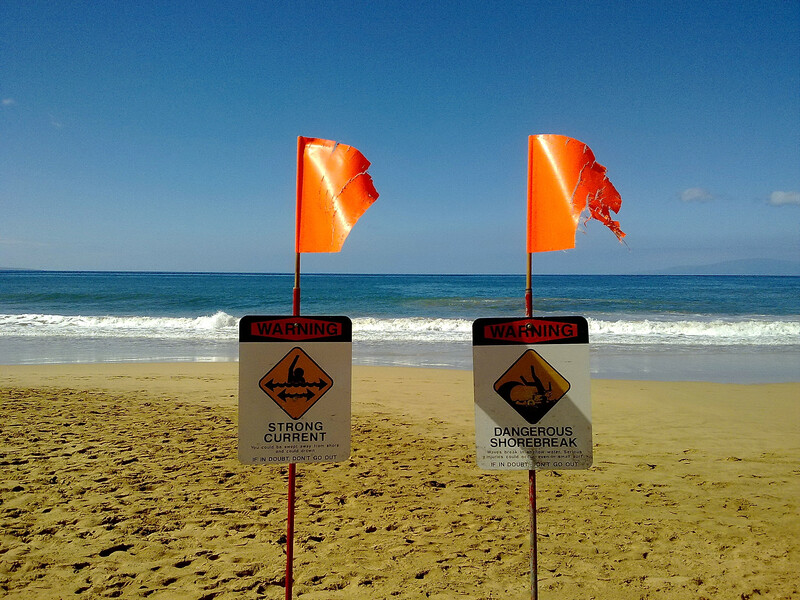 After work and weekends are family time on Maui County beaches. The absence of pollution keeps the water crystal clear. It’s common to snorkel right off the beach. “It’s all old people”, the purists continue to rebuke me. “It’s too expensive.” That is not true. 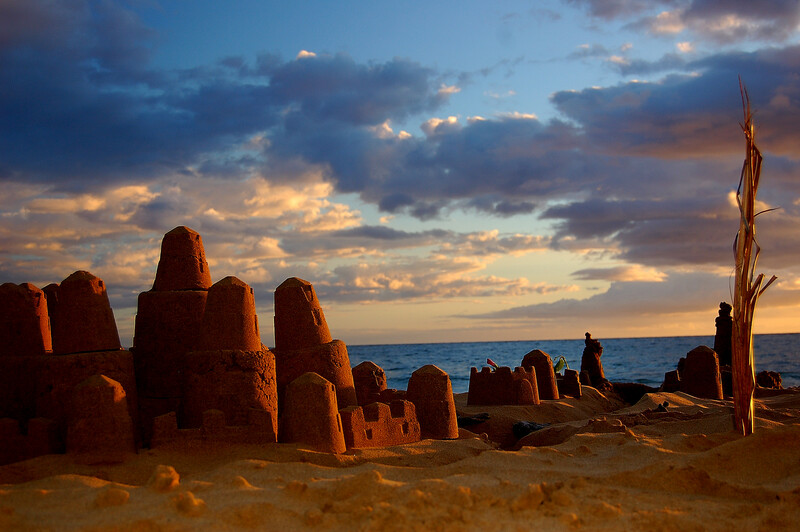 There is an established community of retiree’s from the mainland living in Kihei. The upside to this is that it has provided many conveniences to the casual visitor like fully stocked supermarkets , shops, medical clinics, restaurants and dive rentals. Whale watching from Kihei Beach is free. Like anywhere one can always pay too much if they’re unprepared. I stick to a budget on the islands and find it easy to hold the line against costs by being schooled in the local scene. Information about Maui is easily accessible on the internet. One of my favorite Maui ‘things’ is a visit to Longs Drugs on S.Kihei Road. It is the only place like it where smooth Polynesians ladies with tropical flowers in their long black hair can shop in their moo-moos to the lilting sounds of heavenly Hawaiian music being piped into this unique slice of paradise. It’s other worldly, especially if you’ve been to other South Pacific destinations where no such affluence exists. I let the simplest things entertain and delight me. The older residents have invested in rental condominiums, and make them available as holiday condo’s at reasonable rates if you prefer to stay in a condo over a hotel, which I do, hands down. One site, VRBO, puts you in direct touch with the individual owners and many will negotiate rates depending on the season and individual availability. The condo complexes are fully equipped with swimming pools, tennis courts, bar-b-que pits , internet, cable TV, telephones and great free parking for the rental car in which you’ll want to ‘get the wind in your hair’. In order to fully appreciate the simple beauty of Maui you have to look beyond the grey forest and tourist infrastructure, which by the way disappears if you choose not to look. I can rent a trick water view one bedroom condo meters from the beautiful beaches in Kihei , on a monthly rate, for as little as $35 USD per day including all utilities and charges, net of state taxes. Having established a home base we’re ready to ‘Go Hawaiian’. The first thing we like to do is get a tan started. ABC stores, are like 7-11 only tropical. I bring nothing with me when I come to the islands except the clothes on my back and my electronic gear. I can buy everything I need at the ABC. The flights from Vancouver usually land in Maui at 9 PM, I’m at my Kihei local ABC before they close at 11PM and out with everything I need. My checklist of island essentials includes delicious Kona coffee , and a few breakfast items, because we cook most meals while in Maui. I load up on 70 SPF sunblock . T-shirts and shorts are under $5 dollars on sale. Flip flops, cheap sunglasses and a big brimmed hat are next to go into the basket. Beach mats and towels are generously supplied by the condo owner in most cases.That’s it, we’re ready. I think my garish rig has a ‘Hunter Thompsonesque’ look about it as I bash away at my laptop while sitting in the sand. There are three of the most beautiful beaches in the world are across the street from everyone’s house or condo in Kihei. The Kamaeole Beaches 1 , 2 and 3 are like a string of pearls along the strip. Crossing the street loaded down with folding chairs and beach mats is not a problem, drivers have time to stop for tourists as the speed limit through town is set at 20 miles per hour. Choosing between the three perfect beaches is personal , they’re all unique, take your time, the scene in front of you hasn’t changed for thousands of years. 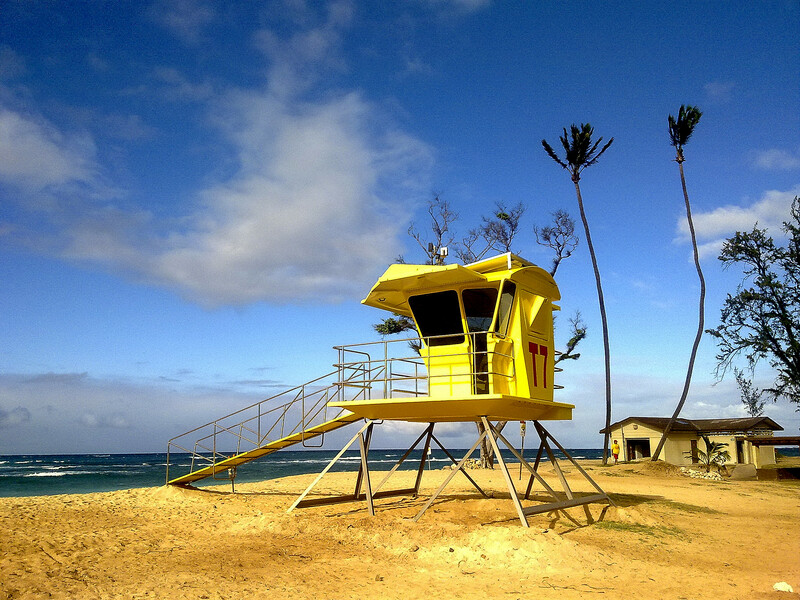 The beaches are classic post card visions, lifeguards staffing lookout yellow towers are a fixture. The guards are a goldmine of information about the ocean and beach generally. They can tell you where on the island the conditions are exactly right for whatever you what do. Between Kamaeole 3 and Makenna Beach there is a small beach for nudists called ‘Little Beach’ easily accessed from the same road to Big Beach, which is the locals name for Makenna famous for the big pounding surf and long curve of golden sand . There are tourists on these beaches, yada yada, the numbers depend on the season but never so many as Waikiki during high season. 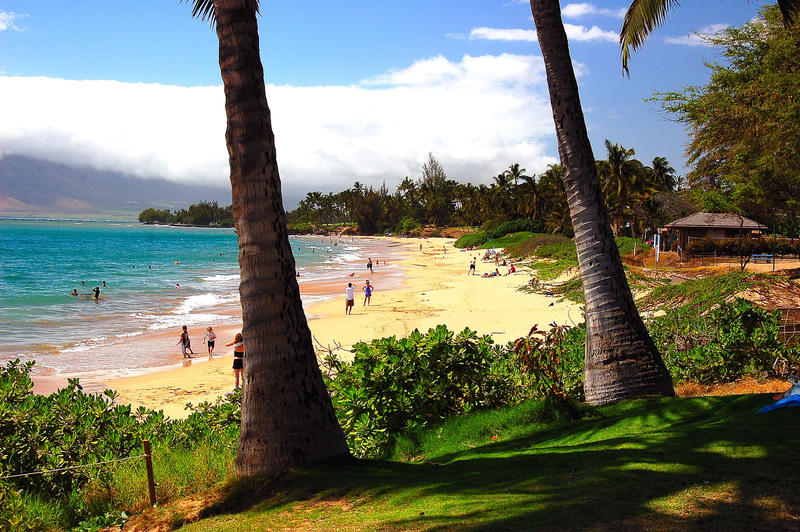 90% of Maui tourists in the summer come from California and Texas looking to beat the heat. By mid afternoon 90% of tourists have fled the beach and have headed indoors, you have the whole place to yourself, it’s freaky and wonderful. There are no Euro style beach chairs stacked side by side. You can still find a little space to call your own and most people respect that. After a week on Kamaeole getting bronzed up with coffee laced Maui Babe and Hawaiian Tropic lotions I’m ready for the out laying beaches that in all honesty are among the best you’ll find anywhere in the world. I speak as an opinionated beach connoisseur but please hear me out. A few miles North and East of Kihei , after a right turn off North Kihei Road and left on Highway 31, take the shortcut by-passing Kahalui through Puunene , past the plantation style post office behind the sugar plant, you’ll find yourself on the ‘Highway to Heaven’ , also known as the Hana Highway. By the way, when they’re making sugar you’ll know it, the whole island smells like sweet brown molasses. It makes for pleasant dreams when the trade winds bring it through the bedroom windows . Driving the snaking Hana Highway should be listed as one of the worlds great driving experiences. We’ll only navigate a few miles of it before we get to our destination. Let me set this up, I have been to some of the most beautiful beaches in the world, many before development and experienced them wild and raw as nature intended. 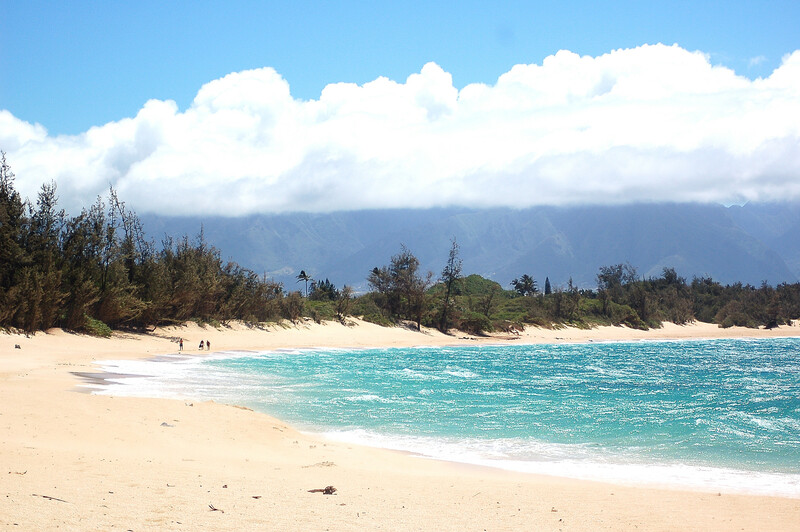 But one of the most beautiful beaches I have ever visited is right here on Maui in the Baldwin Beach Park, halfway between Kahalui and Paia . It’s absolutely stunning ! 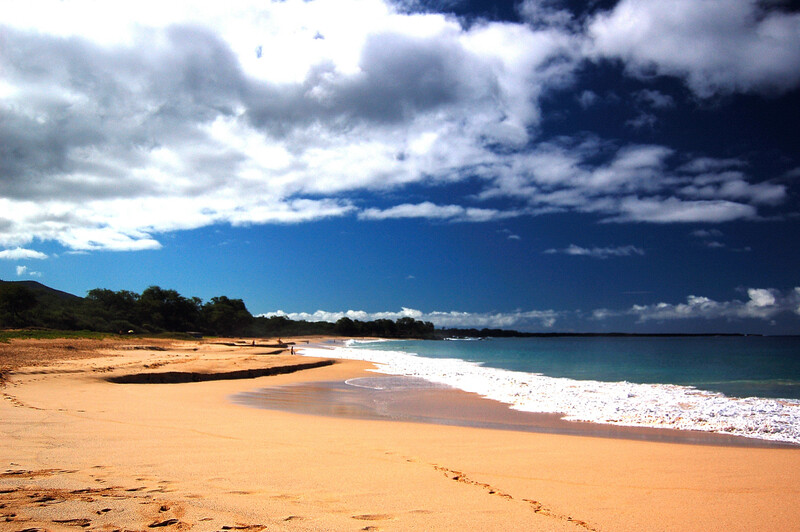 The perfect curving white sand beach has been a protected site from the time of the first plantation colonialist Governor Baldwin set foot on the island and proclaimed Maui County as a holding of the United States. In all that time there has never been development allowed. There are no high rise towers to block the view of the jagged volcanic peaks in the background, again, stunning, out of a movie. It’s all natural, not even saintly coconut palms were planted to enhance ‘the look’ where they didn’t grow themselves. 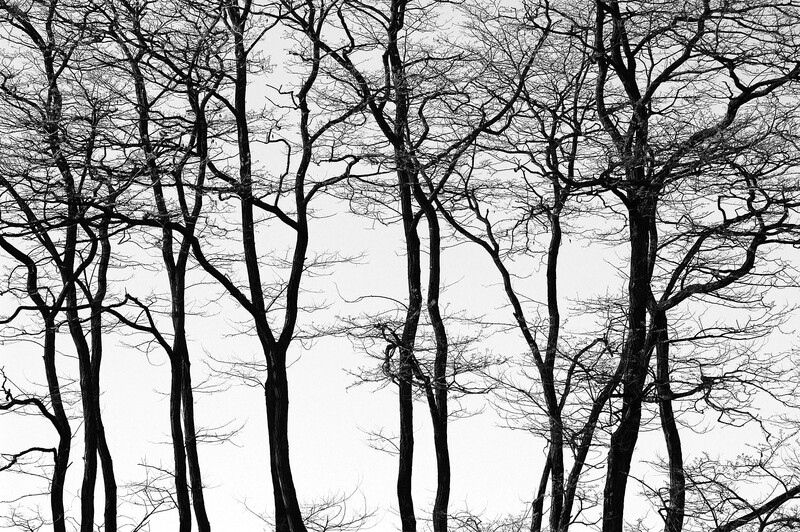 There are only the wild Kaavi tree’s that grow in the dry soils of Maui’s windward side. Baldwin Beach is as it was found by the Polynesians when they landed in Hawaii thousands of years ago, untouched and incredibly beautiful. Looking out into the ocean, a fringing reef wall formed by the lava flow from the omnipresent Haleakala volcano kicks up constant sets of big waves that can be surfed all year round. The consistent east to west current makes drift diving and shoreline swimming some of the best and safest anywhere. The inner reef is a wonderland for snorkelers. Natural breaks in the reef have formed up perfect sheltered swimming pools for little kids to play safely at the west end of the beach. Unbelievably or fortunately, whichever stand you take, the beach park is largely ignored by mainstream tourists.They get in their rental cars and step on the gas as they head to distant Hana some 52 miles west and don’t see what they’re missing in their haste. Baldwin Beach remains a mainly ‘locals’ beach. 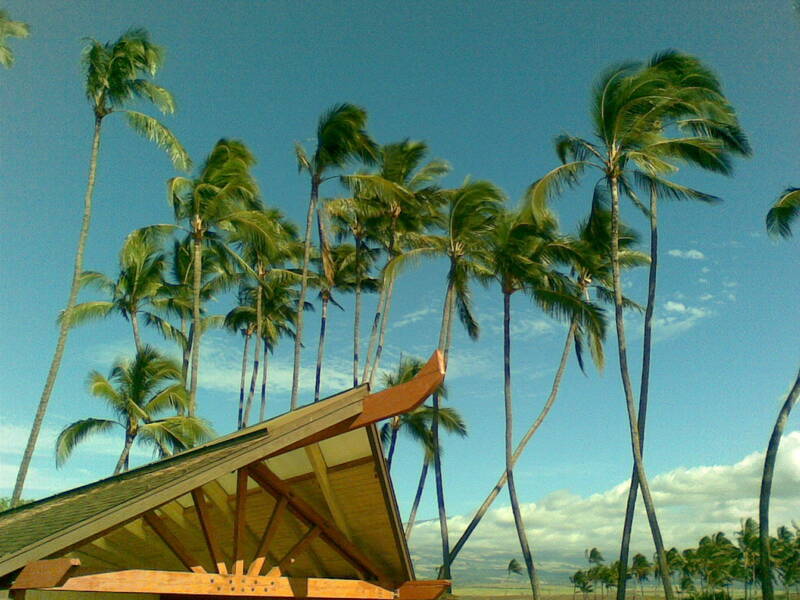 Mauians come to picnic and spend family time around the Polynesian style community building. The sweeping roof line is reminiscent of the prow of the historical sailing canoes. This one public area is surrounded by swaying coconut palms planted in deference to the ‘tropical dream’ of some past parks board. There is a big open field for sports and recreation, all under the watchful eye of the massive volcano that dominates the inland skyline. As with all serviced public beaches there is a prominent day glow yellow lifeguard tower with on guard life saving services from 8 AM until 4:30 PM.The body surfing is excellent in the shore breaks. Once I’ve made Baldwin Beach my home on the islands I’ll come back every day. With a deepening tan the locals start accepting you as a longer term resident ‘Kamaena’ and are eager to spark up friendships inviting all comers into the never ending game of horse shoes that has played out on the beach for generations. The picturesque village of Paia is only a few hundred yards further up the highway. There are quaint full service restaurants and shops for everything from more suntan lotion to box lunches to take back to the beach, you won’t be their first customer to ask, so don’t be shy to ask. This part of Hawaii has been largely overlooked by mass tourism. 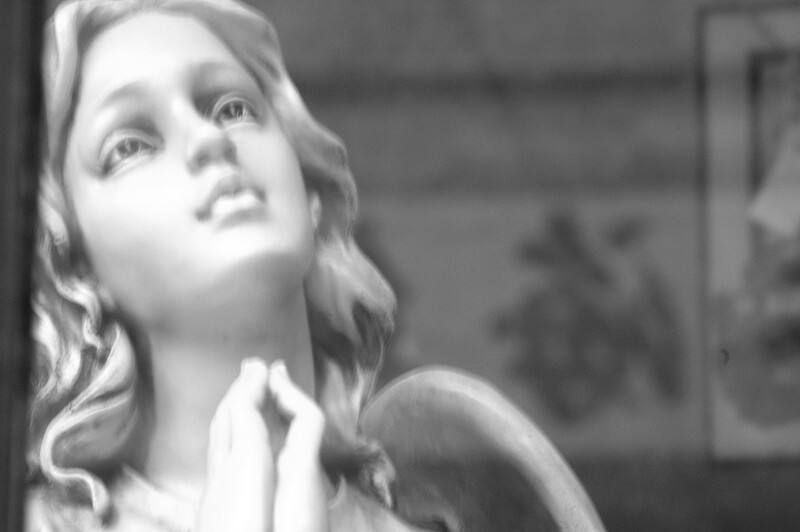 If you want the Hawaii experience without the tourist feel , come to heaven. I find it on Maui any time I drop in for a visit. In all the world, there’s no place like London. I love the city. 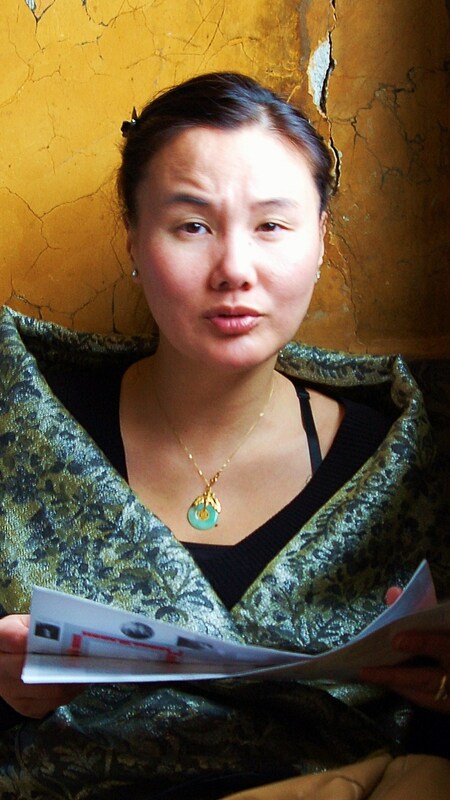 I love the people, museums, tube, galleries, high streets, parks, restaurants , pubs and all the things that describe England as a quintessentially unique culture in the expanding homogeneity of a globalizing world. 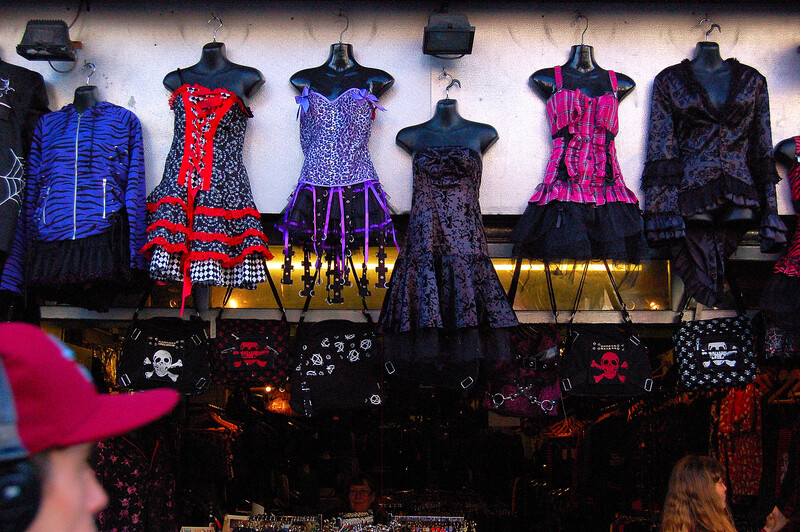 But what I love best about London is Camden Town. If London is a distillation of all things British then Camden Town in North London, is the essential oil of everything English. I have tested the charm of London’s many area’s during my visit’s to the city both for business and pleasure over the years . Every neighborhood has unique charms that continue to draw special favor from repeat visitors to this magnificent city. To satisfy my particular tastes I head straight to Camden after arriving at Heathrow. When it comes to travel I am an admitted convenience nut. I want to access as many things as can be in the easiest manner over the shortest time and cheapest way possible. I like to be at the center of things. The Borough of Camden is most famous for the world renowned Camden Market that straddles both sides of trendy Camden High Street between Regents Park and Primrose Hill. A more eccentric or eclectic High Street and market mix in Britain you will never find. The street is where Goth and Glamor have married to form the perfect union of fashion eccentricity. Londoners are fashionista’s with a flair, they fear no trend nor do they hesitate to create their own. Styles may be for personal entertainment or designed to spark an international fever over fascinating hats, glittering belts or crisp crinolines worn under T-shirts to be carried around the world by awestruck aficionado’s. Some trends last mere moments on Camden High Street. Enter the crowded covered, and uncovered, Camden market from any of the gates and find yourself in an Ali Baba’s cave of merchandise from around the world. There is no specific logic to the mix, it’s eclectic by design, there are collectable furniture shops beside high end clothing boutiques or old vinyl records. My stop always includes the vintage leather jacket shop in the basement of ‘The Stables’ that sells everything for ten pounds regardless of condition. 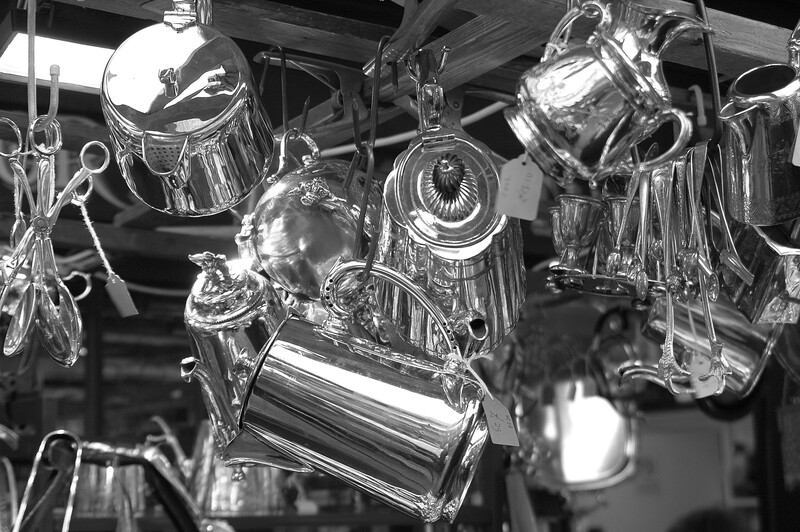 The market blends centuries of product, from verifyably antique to just plain tired, fashion forward styles to ever so practical house ware brick a brac. There are several food courts that are not to be missed. The highly charged and competitive take away counters offer generous portions of international cuisine for three pounds a plate. Austin Powers must have designed the seating. Rows of motor scooter seats are lined along the canal for the perfect view of Camden Lock water way to watch a constant stream of barges , walkers, joggers and general passers by. The food choices don’t stop at the market walls , they spill out into the street where restaurants and pubs line surrounding area lanes and roads offering fabulous selection. Thai and Japanese, traditional English and some of the best Italian food anywhere are found within the radius of a few blocks in any direction. Each block of this neighborhood deserves a foodies attention. The canal is always in use by commercial and residential barges. They ply their way into the lock, rise up to the next level and off they go. It’s endlessly fascinating to watch the comings and goings of this heavily touristed area. 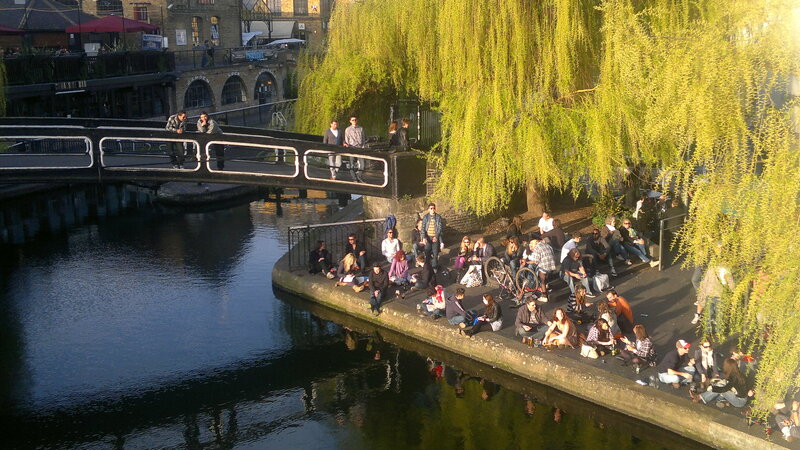 Don’t let the idea of wildly diverse crowds put you off, that’s what makes Camden as charming as it is. This street scene is a parade as you may have never witnessed, not one to be missed. You’ll mingle with colourful Mohawked punks promoting the area’s tattoo parlours and music venues , tittering groups of Italian school girls on a weekend shopping junket, local families out for a stroll and everything in between. There is a dreamy iron bridge that steps over the lock anchored by a gorgeous Weeping Willow on one side and the market on the other. In fact, you may have unknowingly seen this view when watching a news story out of London by your local affiliate reporting from there. The CBC News World building is a fixture of the lock-side . Reporters often use the Camden Bridge for a back shot. Every afternoon, young people meet on a cobblestone platform under that Weeping Willow to party. The custom is to bring cans of beer to consume away from the pub because the price is lower that way. I have my favorite places in Camden, as many others have over the centuries who’ve been attracted by it’s inimitable and understated charms. 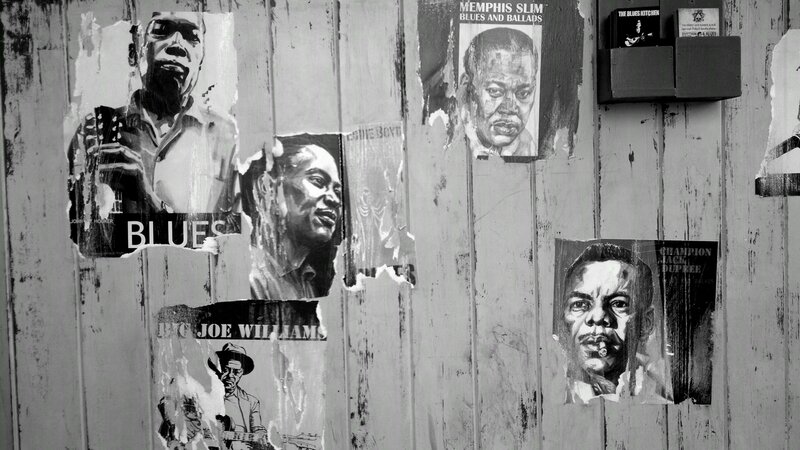 I am one writer in a long line who finds the neighborhood inspiring in some unwitting way. Poet Dylan Thomas lived there, a stately blue plaque rests on the heritage listed house where he once resided and has always been a place of pilgrimage for me whenever I’m in town. Charles Dickens once lived here and placed ‘A Christmas Carols’ Bob Crachit’s family in Camden as well as the Micawbers of David Copperfield and passages of Dombey and Son. Amy Winehouse was found deceased in her Camden Square home. I’ve always stayed at the Holiday Inn Camden Locks for the brilliant location and modern suites. Where ever I travel these days I opt to stay fewer days so that I can enjoy better quality food and lodgings . This is a personal choice. For my taste there is no fun in ending the day in a less than satisfactory room for the sake of one or two extra days on the road. A full week of comfort is much more restful than two weeks where I’m not entirely comfortable. It’s one of those quality vs quantity arguments you can only have with yourself and your visa card. 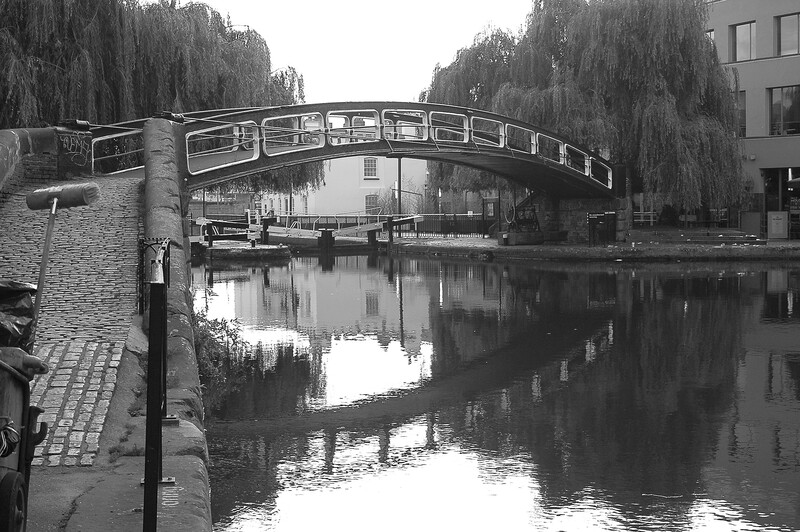 I like to ‘wander’ whenever I’m in Camden to refresh my love of the neighborhood. From the Holiday Inn on Jamestown Avenue I head down Arlington that runs parallel to the High Street. I like to relive past experiences when I can, I feel I get more out of a place that way. The original fresh fruit and vegetable market on Inverness Street is still a going concern albeit with fewer stalls than there were earlier in the century. It’s nice to know that many of the small shops are still in place, I wave, they don’t recognize me, I don’t care, it makes me feel good to buy a pomegranate and have a short conversation with the barrow man about the weather. At the end of the block on Arlington at Parkway is the Good Fare restaurant run by the nicest Italian family. It’s a great place for a full English breakfast and a cup of tea, really bright and cozy. If I was to turn right I would visit the London Zoo two blocks up the road. A friendly cab driver named Tony told me that Neil Gallagher of Oasis fame lives in the street. There are some rather nice houses for the rich mixed in with rather ordinary Council Flats for the less famous. You can never be sure who you’ll rub shoulders with in one of the local shops. Across the street from the Good Fare stands a vacant shop that has a banner sign above the empty front window advertising monkeys for sale on one corner and a Tandoori franchise on the other. 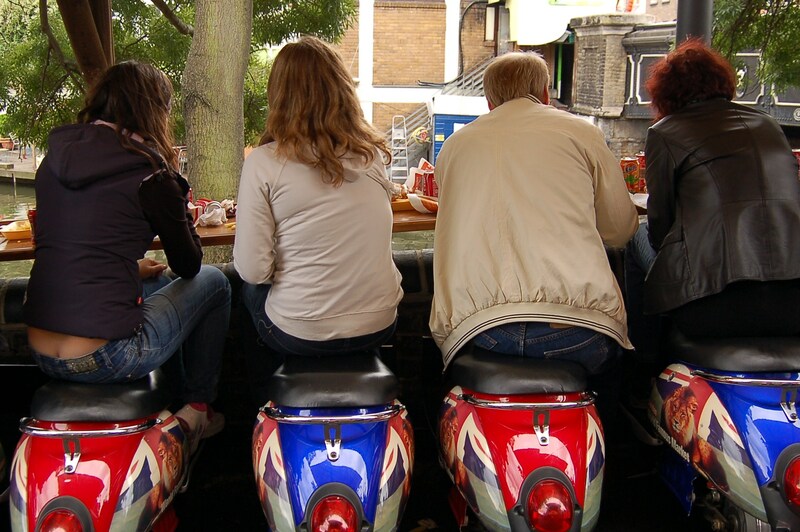 Camden has often been described as a place to find an ‘alternative lifestyle’. So far so good. The High Street is an endless fascination, I like to walk up and down either side poking into the incredibly diverse shops. I’ll always find an excuse to ‘pop in’ to a new shop or one I have visited before. On my last trip I went into a general merchandise store catering to Indian merchandise. I found the coolest shoes, I bought two pair, along with a little ceramic tea pot to use in the hotel room. I still send post cards to my friends stuck at home so I visit the post office for stamps, it’s also a bank. I collect metal cookie tins , the place for that fix is Marks and Spencers, ‘Marks and Sparks’ to ‘insiders’. I’ve never met a cafe I didn’t like and Camden High Street is lined with every variety from ‘ mom and pop’ bistro’s to global franchises, side by side. Quick food outlets like Pret a Porte are easy on the wallet and serve reasonably good snacks and sandwiches. If you’re wanting something substantial try a pub lunch in any of the famous pubs in the street. There’s a McDonald’s and a Burger King. I adore the ‘Worlds End’ pub across from the Camden tube station. It’s been in operation since the 1600’s. It reeks with character. ‘The End’ is a popular music venue that hosts famous artists like ‘The Cranberries’. I have ended two novels , The Bloody Oath’ and ‘The Enablers’ with the protagonist sitting at the rail of this fantastic pub watching the world go by. The bar food is not half bad with a lager and lime . The Black Cap across the street is a vintage pub dedicated to famous British drag entertainers. Whether you’re walking down the High Street or decide to stroll the passage along the canal between Kentish Town and Regents Park, there’s always something to see or do around Camden. It’s one of the least boring places in the world as far as I’m concerned. Walk down to Abbey Road where the Beatles took the famous picture of themselves crossing the street in front of Abbey Road Studio’s, it’s a few blocks. The Rolling Stones sang about St. Johns Wood in the song ‘Nineteenth Nervous Breakdown’, not far away. 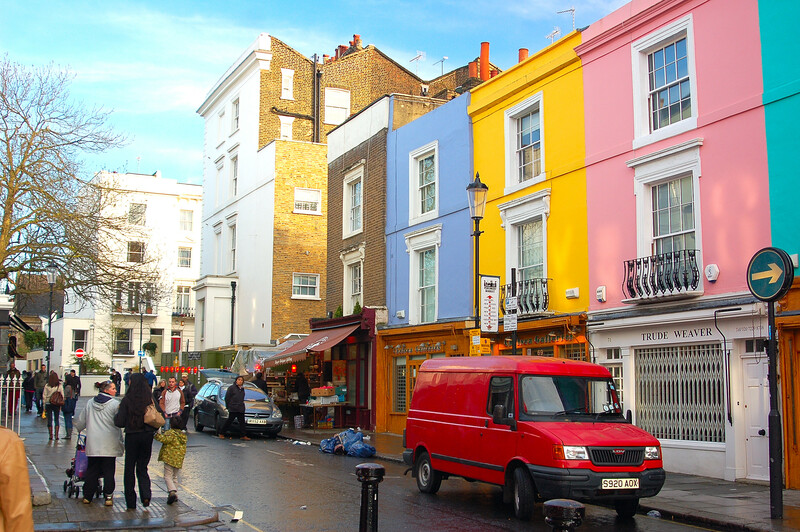 You can ‘get away from it all’ and overlook Camden Town by walking up the hill towards Kentish Town on Chalk Farm Road. There’s some great little cafe’s up there. Getting out at night is easy, you walk a few blocks . Try the retro Vinyl Bar on Inverness, it’s central and lively. Belushi’s on the High Street is top rated for live rock bands , always fully loaded and ready to go. ‘The Blue’s Kitchen’ on the High Street is for the blues lovers, straight ahead good music and atmosphere, great staff. I found the staff in all the pubs, cafe’s and restaurants I have visited over the years fun loving and hospitable . Bar tending and serving is a great job in London and people give off a really welcoming vibe, nice when people are so cool. If you get lucky and score a ticket on the street or book ahead you might see a major band playing an intimate venue like ‘The Roundhouse’ or ‘The Underworld’ as often happens in London. 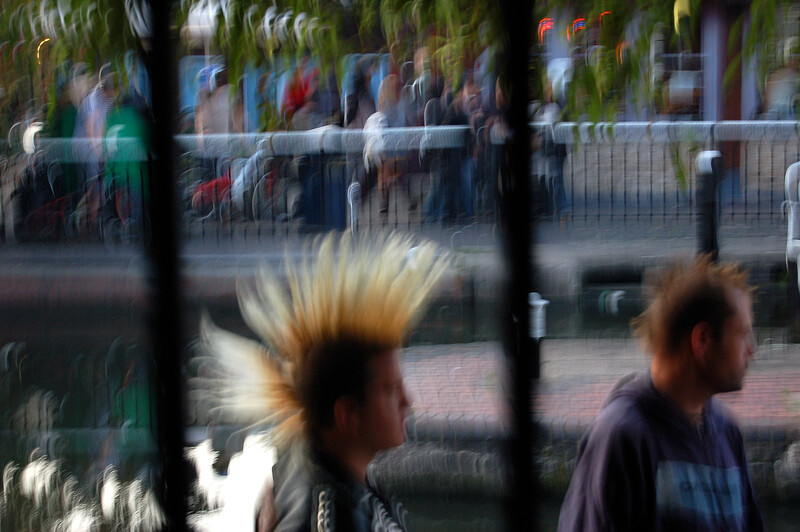 Camden is considered one the main arteries for London’s music scene. London is an expensive destination for most people, expensive but not impossible. I forget about the old days when we would afford travel for extended periods of time by staying in flops and eating little. Today I enjoy London on a shoestring budget with a place like Camden as my focus for a shorter time. This area is so packed with inexpensive entertainment and excitement that a weeks vacation is exhausting and soul filling enough to make it seem like I’ve been there a month. If you feel that you must see ‘the rest of London’, remember, Piccadilly Circus is free, Trafalgar Square is free, the top museums are free to enter as are the fantastic parks and famous markets spread throughout the city. 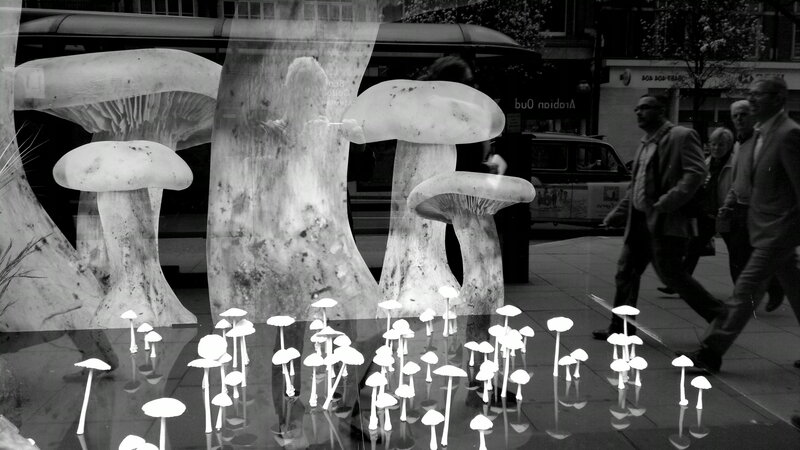 It costs nothing to window shop through Selfriges on Oxford Street or Harrods in Knightsbridge. There is no charge for walking down ‘The Mall’ and gawking through the wrought iron gates of Buckingham Palace. For great entertainment on the cheap, walk down Camden High Street and tell me if you didn’t have the best time of your life.